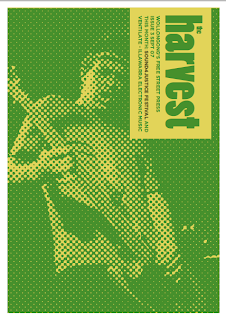 In 2007 a loose collective of creative types operating from 5 Crown Lane came together to produce a free 'street press' highlighting creative ativities around the region, with a strong focus on the local music scene. Jeb Taylor, Simon Dalla Pozza, Alby Fares, Nat Sullivan and Josh Smith launched issue #1 in July 2007, featuring the indominatable Stew Cunningham on the cover with his new-look Leadfinger. Print runs remained minimal (500) as the entire process - from editorial, design, printing, collating and distribution - relied on the voluntary efforts of the collective and other random souls. As people at the space came and went, continuation of the zine became unsustainable. The last issue was released in February 2008. Thanks to Jeb Taylor, Simon Dalla Pozza and Stew Cunningham, here are the full eight issues in colourful pdf. format for your downloading pleasure.